CC41 has been one of my obsessions for a long while, but as I am currently selling not one BUT TWO fabulous cc41 pieces I thought i would share some “past and presents” from my collection to give my followers a little more of an insight into cc41 and what it meant. I’ll start off with my favourite little cc41 item that actually belonged initially to Naomi Thompson before i sold it for here last year! You can read more about this little blouse here…. What’s most interesting to me about this blouse though has to be the number of labels in it. 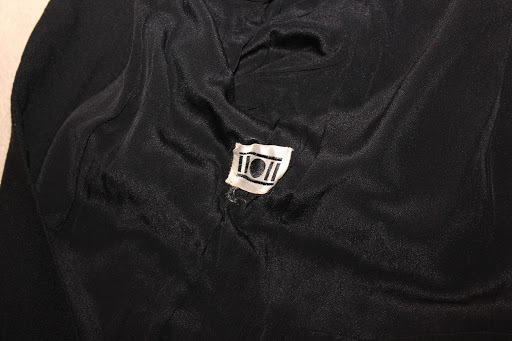 Normally (as you will see) CC41 garments only contained the cc41 label and no manufacturers labels, but this item actually had three- the maximum number allowed in a garment under the restrictions. This dress is one f that I’m currently selling, (you can find it on ebay here). The dress although clearly “designed” and nicely made has no label indicating the manufacturer. The dress also (as is typical of cc41) has no zips- zips were considered unreliable at the time and one of the main points of cc41 was to try and make long lasting garments- hence why zips were not used. Therefore if you find a cc41 item with a zip it is likely it was either from a post war garment- OR a later addition. One thing I particularly like about this dress is its slightly deco influenced white buttons. 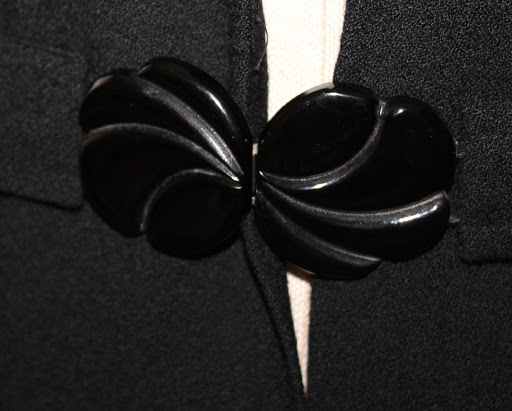 The “deco” styling is something that I often find on cc41 pieces…. The swing in this coat is simply amazing and has inverted pleats to the side to give a little more swing without using too much added fabric. That is something you often find with cc41- clever cutting to utilise fabric to the best of advantage. You can bid on this coat on ebay here! 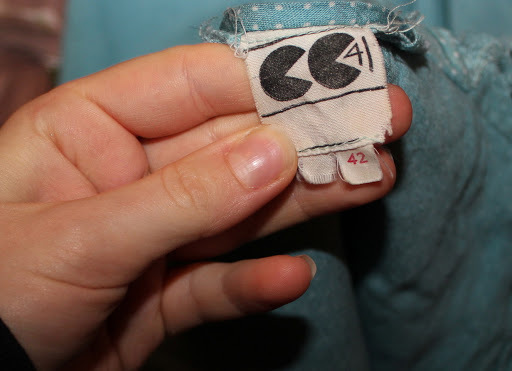 The question i often wondered though is why you tend to find so many shoes with the cc41 stamp (these are a pair of my cc41 shoes and were one of my earliest pieces of serious vintage purchased), but comparatively few items of clothing? Well, it seems that cc41 labels were often removed as people at the time didn’t like the associations of CC41, of course you can remove a label- but you can’t remove a stamp, which accounts for a lot! For a rather more in-depth post about cc41 click here!